Little Falls, NY-Linda A. Rowley, age 64, of Little Falls, passed away on Saturday afternoon, Aug. 11, 2018, with her loving family by her side after her courageous and dignified battle with cancer. Daughter to the late Patricia Weaver-Lynch, she was born in Little Falls on August 17, 1953 and received her education in the Little Falls City School District. After graduating with Class of 1970, Linda was employed with Allegro and then LaSalle Laboratories. For the last 10 years, she was employed with HARC, where she became known as “grandma” and worked diligently until her illness. Above all else, Linda’s family was her most cherished treasures. Her greatest pleasure was sitting outdoors, surrounded by music and laughter, and “blue mountains". Her “babies”, whom she loved more than life itself, were her strength and determination to fight her battle each and every day. Survivors include Linda’s beloved son, Michael Rowley and his wife Shannan, and her three grandbabies- Stella, Mason, & Phoebe of Little Falls; her siblings- Barry Rowley and wife Donna of Ilion, Daniel Rowley of Dolgeville, Debra Cook of Little Falls, and Bernard Weaver, II and Robin Gay of Ilion. Linda also leaves behind many nieces and nephews. Her niece, Lisa Feasel, was by her side every second of her courageous fight and was Linda’s “angel”. Linda is also survived by many great nieces and nephews, including Samantha Cook, whose tender love and care was given abundantly. She was preceded in death by her sister in law, Gail Rowley. The family would like to give a special thank you to the radiation department and staff of Dr. Sood and the friends whose love and support gave her comfort and strength. Also, a heartfelt thank you is extended to the dedicated caregivers at Hospice Care for their care and compassion. There will be a private service at St. Mary's Cemetery, town of Herkimer, at the convenience of the family. Mohawk Valley Funerals and Cremations (Daniel J. Enea, owner), 7507 State Route 5 (corner of Bidleman Road), Little Falls, 315-508-5131 has been entrusted with Linda's funeral arrangements. 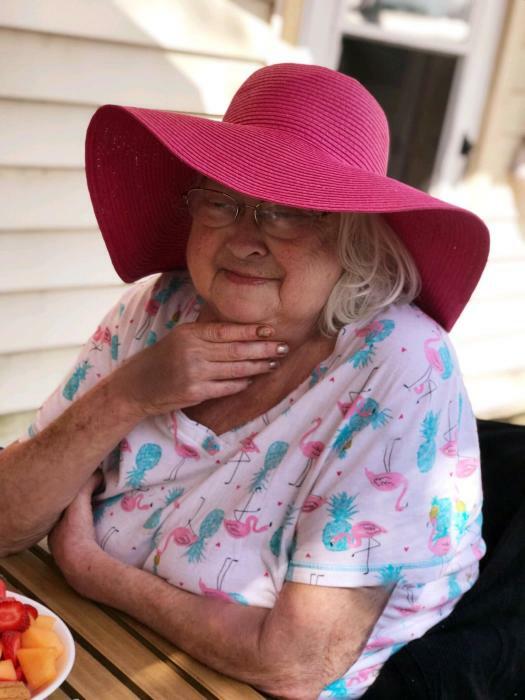 Please click above to add to her online memorial.